Ben and Julien grew up in a bucolic village in France while Japanese anime, US movies and European literature shaped their childhood imaginations. These influences can still be seen today in their most recent productions. The Deka Brothers crafted their style within the underground culture, experimenting with music videos and many short productions, while working on their debut feature film SODIUM BABIES (Special Mention of the Jury - Leeds International Film Festival - UK 2009), that they wrote, directed and produced, as well as doing all Visual-FX themselves. With this movie to showcase their skills at the Cannes Film Festival Market, the brothers caught the attention of Los Angeles-based producers and agents and moved to the States to pursue their filmmaking career. They remained true to their indie filmmaking roots, as they’ve kept on working on book-trailers, music videos and short films, with the same artisanal craftsmanship that defines their style. Their latest short film, MY BLOOD, is set to hit Film Festivals in 2019. The brothers have directed many book-trailers, including best-selling books from publisher Penguin: TALES OF THE PECULIAR from Ransom Rigg and HALF BAD from Sally Green. Their music video clients include labels such as Atlantic Records and Roadrunner (Warner Music Group). They worked on two Skrillex videos and directed videos for Gojira, Opeth, ICP, Perturbator and Carpenter Brut as well developing and directing for music superstar, Bruno Mars. 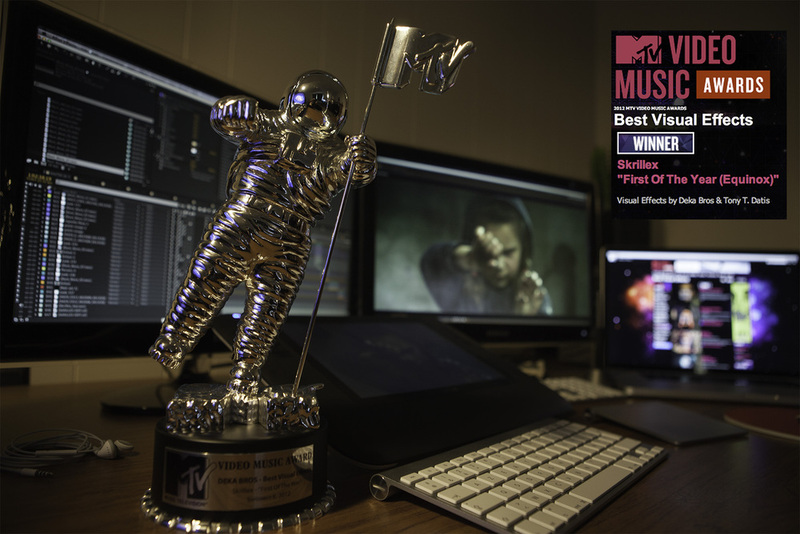 Julien and Ben received the 2012 MTV Music Video Award for Best Visual Effects for their work on Skrillex's FIRST OF THE YEAR (EQUINOX), directed by Tony T. Datis. The Deka Brothers recently opened to commercial work, first as cinematographers for Xenith, North American Bancard and Dodge and now as directors for brands like JBL, Cox, Fathead and StockX.